Definition at line 37 of file llfloaterreleasemsg.h. Definition at line 99 of file llfloaterreleasemsg.cpp. Definition at line 59 of file llfloaterreleasemsg.cpp. References LLUICtrlFactory::buildFloater(), LLPanel::childSetAction(), FALSE, LLRectBase< Type >::getHeight(), LLControlGroup::getRect(), LLFloater::getTitle(), LLViewerUICtrlFactory::getWebBrowserByName(), LLRectBase< Type >::getWidth(), gSavedSettings, gUICtrlFactory, mTitleBase, onClickClose(), LLView::reshape(), LLPanel::setDefaultBtn(), and LLView::setRect(). Definition at line 49 of file llfloaterreleasemsg.cpp. Definition at line 148 of file llfloaterreleasemsg.cpp. Definition at line 115 of file llfloaterreleasemsg.cpp. 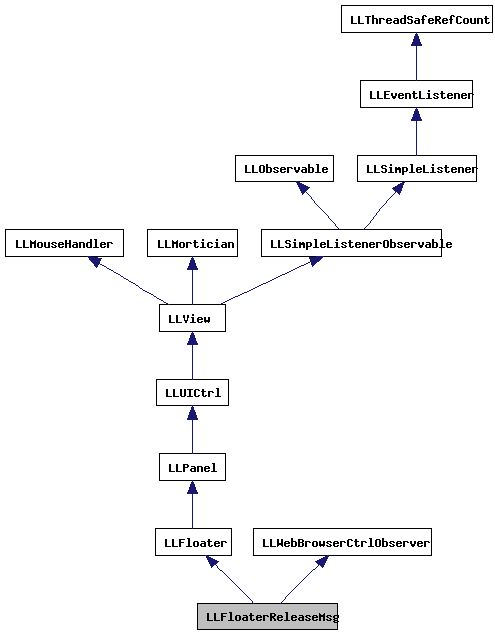 References LLFloater::center(), LLFloater::draw(), gAgent, LLViewerRegion::getCapability(), LLAgent::getRegion(), gLastVersionChannel, llendl, LLFloaterReleaseMsg(), llinfos, mTitleBase, LLFloater::open(), LLFloater::setTitle(), LLFloater::setVisibleAndFrontmost(), and sInstance. Definition at line 55 of file llfloaterreleasemsg.h. Definition at line 49 of file llfloaterreleasemsg.h. Referenced by LLFloaterReleaseMsg(), and show(). Definition at line 48 of file llfloaterreleasemsg.h. 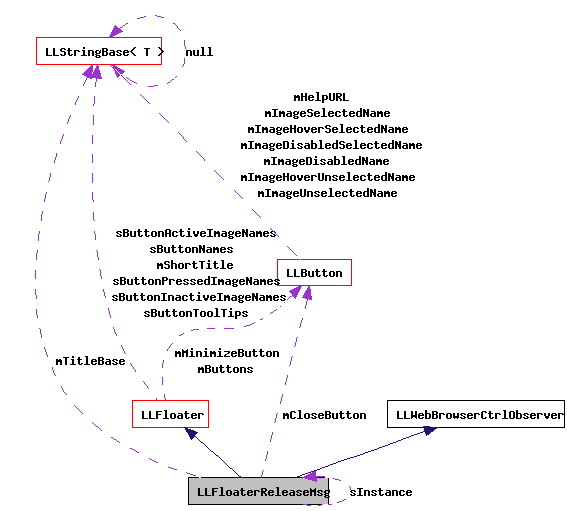 Referenced by getInstance(), show(), and ~LLFloaterReleaseMsg().